At Resultist Consulting everything we do is filtered through the perspective of revenue generation. It forms the foundation of all our work and it leads to greater business success. Our methodology is designed to help your business achieve profitable revenue growth. We work alongside executive leaders and teams to create a Revenue Development Action Plan specifically for your business. To ensure its success, we assist with the implementation of the plan and any necessary future adjustments. 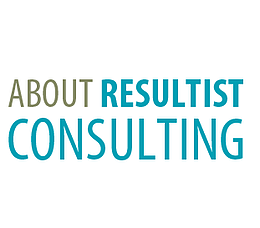 Resultist Consulting collaborates with small and mid-sized businesses throughout the Puget Sound region on long-term engagements and short-term projects. Our time together enables you to focus on your business and achieve your strategic goals. Over the course of her 20+ year career, Elizabeth has "been there and done that". Her experience includes: Business Founder & Owner, Entrepreneur, President, Principal, VP of Sales & Marketing, Consultant and Executive Advisor for numerous successful businesses. As a business owner she grew her own business from $4M to $16M in annual revenues in under 4 years. Throughout her career, Elizabeth's work has focused on business and relationship development. Elizabeth is a proven driver of revenue, profitability and accountability. She is a complex B2B sales expert, adept at motivating teams from a revenue perspective with innovation, flexibility, and responsiveness to competitive and changing market conditions. She is driven by a passion for making businesses more successful. As a trusted executive advisor Elizabeth builds revenue while strengthening your most valued relationships. Her extensive experience in managing strategic growth in challenging business environments, coupled with the hands-on insight to reenergize teams, makes Elizabeth a valued asset to executives who want to drive better results throughout each client experience. 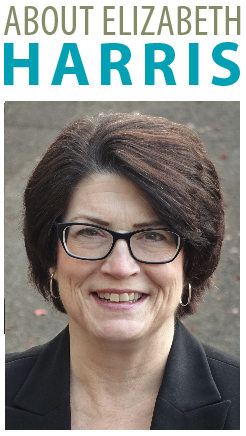 Elizabeth is a member of THE Center for Advanced Manufacturing Puget Sound (CAMPS) and Washington Technology Industry Association. As a member of these and past organizations, her committee work has included the Business Mentors, New Member Orientation and Community Service committees, along with executive workshops.